ArtBurst is a two-day juried fine art fair that is free to the public and held during the annual Orange City Tulip Festival, a celebration of the Iowa community’s Dutch heritage that attracts tens of thousands of people each year. 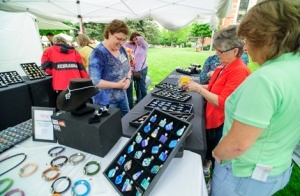 Up to 40 artists chosen by a jury exhibit and sell their work on the grounds of the historical Sioux County Courthouse, which is located on the Tulip Festival’s parade route and near food vendors and the festival’s information booth. $300 Best of Show cash prizes are awarded for both two-dimensional and three-dimensional work. An ArtBurst Patrons program ensures support of exhibiting artists by securing advance commitments toward purchases. The ArtBurst application is located below. * A limited number of artists will be allowed to participate in ArtBurst as a one-day show on Saturday, May 18. If interested in that option, email artburst@octulipfestival.com for more information. All work must be original art produced by the exhibiting artist(s). “Buy/sell” work, imports, work from molds or kits, commercial designs and derivative work is strictly prohibited. Reproductions must be fine art prints (giclees) or cards. Artists will be selected by a jury. Aesthetic quality and number of artists in each medium will be the sole criteria of the jury, whose decision will be final. All exhibiting artists must meet all eligibility and insurance requirements, entry procedures, and application deadlines and may not share or split their booths with others. A full refund of all booth fees paid is available until April 1, 2019. No refunds will be made after that date due to cancellation by the artist or in the case of inclement weather. Artists are responsible for providing their own booths, tents or displays. Artists may begin setting up at 7 a.m. Friday, May 17, in their assigned booth space. Booths are to be kept intact until 4 p.m. Saturday, May 18. While there is no guarantee of a particular booth location, efforts will be made to accommodate preferences. No lawn stakes are allowed. Booths must be secured with weights. Every artist participates at his/her own risk. ArtBurst and the Orange City Tulip Festival are not responsible for loss due to breakage or theft. Upon acceptance, artists must sign and return an ArtBurst privilege contract. They must also provide appropriate Certificate of Liability Insurance, naming the Friends of the Festival Foundation/Orange City Tulip Festival as an additional insured pursuant to a general liability insurance policy with a minimum coverage of $1 million.  Artists may not set up or exhibit until the approved insurance certificate is received by the Orange City Tulip Festival office. The application deadline for ArtBurst is February 1, and applicants will be notified of the jury’s decision by March 1. To apply, please fill out the forms below, attaching four photos that are representative of your work along with a picture of your booth. You will then be directed to pay a $20 non-refundable jury fee via PayPal. If you are chosen as an ArtBurst artist, you will be notified of your acceptance no later than March 1. The email notifying you of your acceptance will contain instructions for paying your booth fee, which is due by March 15. Artists are responsible for collecting and reporting appropriate taxes at the event. By submitting an entry, the photos submitted are representative of the work I will exhibit during ArtBurst. By submitting an entry, I agree to indemnify and hold harmless Orange City Tulip Festival Steering Committee, the City of Orange City and the County of Sioux from any and all actions, suits, damages or claims arising from injury, loss or damage to artwork, to the artist or to agents of the artist. I hereby consent to enforcement of all ArtBurst or Tulip Festival regulations.